Master of Malt Blog - Page 6 of 141 - Master of Malt - online retailer of single malt whisky, blended whisky, bourbon, rum, brandy, vodka, gin and many other fine spirits! Pernod Ricard has got a taste for juniper! The drinks group released a statement this morning confirming it’s about to buy Italy-based Malfy Gin, growing its gin portfolio to six…. We’ve got a bit of a two-in-one for you this week. It’s a twist on a twist on a classic. You could take the drink a step further by modifying the recipe at the bottom to craft a twist on a twist on a twist on a classic, but what you do in your own time is up to you. We stumbled across this little number a couple of weeks ago, at Dorchester Collection’s contemporary Mayfair hotel, 45 Park Lane. The bar there is well-known for its knockout Negroni offering – there is even a trolley dedicated to the drink – so we were thrilled to attend Negroni Nights masterclass hosted by esteemed bar manager Francesco Orefici in honour of the drink’s 100-year anniversary. “We are in the Seventies in Milan,” Campari Group brand ambassador Paolo Tonellotto announces as we take our seats. We’re no longer in a private room in Mayfair, but have instead been transported to Bar Basso, a Milanese institution. Bartender Mirko Stocchetto is making drinks, and a customer has approached the bar to order a Negroni. In goes the Campari, followed swiftly by vermouth. So far, so Italian. A lovely touch. Incidentally the name isn’t a sly dig at actors but a nod to the title song of A Star is Born, ‘Shallow’, sung by Lady GaGa and Cooper himself. So, what does it taste like? Compared to the Negroni, the Sbagliato – and, indeed, the Shallow Negroni – will be slightly sweeter, says Tonellotto, making it great introduction to the bitter classic for the uninitiated Negroni drinker. If there was a cocktail version of the Academy Awards, this drink would absolutely clean up. The Shallow Negroni has to be the Best Adapted Screenplay we’ve ever tasted. Lanson Champagne is honoured with Best Supporting Actress. Orange wheel walks away with Best Visual Effects, no question. Add ice to a Burgundy wine glass. Add Campari, Antica Formula, and top with approximately 30ml Lanson Champagne. Garnish with a wheel of freshly cut orange. With tears in your eyes, thank your mum, dad and family pet for their love and support. For the London locals among you, the Negroni Nights experience is running bi-monthly until Thursday 2 May. Priced at £125 per person, it includes three cocktails – the Classic Negroni, Vintage Negroni and Seasonal Negroni – each paired with canapes created by David McIntyre. For more information or to make a booking email CUT.45L@dorchestercollection.com, call 020 7493 4545 or visit dorchestercollection.com. *You have to remember that the Negroni Sbagliato was invented long before social media and Fake News. There was no such thing as @DHOTYA in the Seventies (‘Didn’t Happen Of The Year Awards’, for the Twitter-less among you). You have been told that a delicious drink was invented completely by accident, and that is the tale that will be told until the end of time. As you may have already guessed, we love whiskey at Master of Malt. We also love reading, that is why we’re head-over-heels with When All is Said, a novel told through Irish whiskey. Over the course of the evening, he has a few drinks, and he tells us his whole life. The three whiskeys he consumes are Bushmills to his daughter Molly, Jefferson’s Bourbon to his son in America, and finally something old and rare from Midleton to his long-suffering wife Sadie. He also drinks a bottle of stout to his brother Tony and one to his sister-in-law Noreen. We learn about his upbringing in poverty in Ireland, working in service for the brutal local landowners, his marriage, and children. There’s skulduggery involving a rare gold sovereign, family revelations and more than a little tragedy. Anne Griffin herself is a keen whiskey drinker: “My family, my mum and dad are teetotallers. But around 25, I began to just have a whiskey after dinner. I loved Bushmills and I adored Midleton. And I just felt that Maurice Hannigan had to be a whiskey drinker.” We’ll drink to that. Master of Malt will be supporting Anne Griffin at the Cork World Book Festival on Saturday 27th April. When All is Said by Anne Griffin is published by Sceptre, hardback, £12.99. Whisky distiller and bottler Gordon & MacPhail has unveiled further details for its proposed shiny new distillery in Scotland’s Cairngorm National Park. And we’re excited. At MoM Towers, we’re all ears when it comes to distillery developments. Those giant ears of ours have been twitching with anticipation ever since Benromach parent Gordon & MacPhail said last year it was planning to open a second distillery. And now have an update. Set to be built on the banks of the River Spey in Craggan, near Grantown-on-Spey, the proposed distillery has a strikingly circular design. It’s the work of architect firm NORR, and is meant to make the most of the stunning mountain and river views while hiding most of the operational side of spirits production. It’s even got a grass sedan roof (remind you of anything?) to help it blend into the environment. If the plans go ahead, the Craggan distillery (not its official name) will become the first of the new-wave distilleries to go live in the Cairngorm National Park. How much whisky will it make? At first, 375,000 litres of spirit will flow, but capacity can increase to 2 million litres in the longer term – which would make it much larger in terms of output than Benromach. Local residents were recently treated to an exhibition detailing the planned site, with more than 150 people popping in to check out the proposals. According to Gordon & MacPhail, the response has been “overwhelmingly positive”. “We’re really pleased at the number of people who came along to see our plans, we couldn’t have asked for a warmer welcome,” said Ewen Mackintosh, Gordon & MacPhail’s managing director. Let’s hope the plans get the go-ahead! With St. Patrick’s Day just around the corner, we pinned down Knappogue Castle Irish Whiskey global brand ambassador Tony Carroll to talk 15th century castles, defunct distilleries and fighting spirit…. When the Irish whiskey market collapsed in the early 20th century, distillers, blenders and bottlers on the Emerald Isle were plunged into a century-long decline they’ve only recently began to recover from. In the 1890s the island was home to more than 30 distilleries; by the 1990s, just three remained. Today, the category is the fastest-growing spirit on the planet, but the after-effects of the bust linger. Today, Irish whiskey can be roughly split across three routes: distillers with mature stock; working distilleries bottling sourced whiskey, and traditional bonders. ‘Old’ and ‘rare’ whiskeys don’t appear too often. For independent bottler Knappogue Castle Irish Whiskey, however, those words are part of its DNA. In fact Knappogue Castle 1951, bottled by the brand’s founder Mark Edwin Andrews II, is one of the oldest and rarest commercially available Irish whiskies on the market. Master of Malt: Knappogue’s founder started ageing whiskey in his eponymous castle way back in the Sixties. Could you tell us how the whiskey became the brand it is today? Tony Carroll: Knappogue Castle Single Malt Irish Whiskey is named after Knappogue Castle, a 15th century castle in western Ireland, which was restored by Texas native Mark Edwin Andrews II and his wife – a prominent American architect – in 1966. A connoisseur and collector, Andrews amassed an impressive and rare collection of pure pot still Irish whiskey. Purchasing by the cask direct from distillers, primarily from B. Daly Distillery which ceased production in 1954, he aged and then bottled the product under the name Knappogue Castle after his beloved building. Andrews’ last bottling – Knappogue Castle 1951 – was made available to the public for the first time in 1998 by his son, Mark Edwin Andrews III, under Knappogue Castle Spirits – an homage to his father’s legacy. Today, the Knappogue Castle portfolio includes the 1951 and the 12, 14 and 16-year expressions along with a range of different limited releases. MoM: Knappogue Castle 1951 caught our eye, being one of the oldest and rarest commercially available Irish whiskies on the market – could you talk about the history behind it? TC: The production of Knappogue Castle 1951 is very much intertwined with the history of Knappogue itself, being the last of Mark Edwin Andrews II’s original bottlings from the days he collected whiskey at Knappogue Castle. Made from malted and unmalted barley, Knappogue Castle 1951 was triple distilled in copper pot stills in 1951, aged in oloroso sherry casks for 36 years and then bottled in 1987. MoM: Irish whiskey very much seems to be focused on innovation at the moment. Could you share some insight about Knappogue’s strapline, “Boldly daring to do things the way they’ve always been done”, and the intention behind it? TC: The strapline very much reflects the ethos and direction that Knappogue has taken throughout its many years. It was bold and daring of Mark Andrews II to purchase the castle and bring it back to its present glory, and it was bold and daring for Mark Andrews III – our current Knappogue chairman – to take the whiskey to America. But that’s the way Knappogue has always been. It’s that simple. MoM: We love a bit of history here at MoM towers. Could you tell us an interesting story about Knappogue Castle? TC: In the early 20th century the castle served as the headquarters of General Michael Brennan and the Irish Free State army in Ireland’s fight for freedom. Maybe this is where Knappogue Castle gets its fighting spirit from. MoM: We’re dying to know – where does Knappogue source its casks from today? TC: Knappogue, like all Irish whiskey, is bound by the Irish whiskey technical file, which states that the best cask for ageing Irish whiskey is American white oak that has been maturing bourbon for two years and over. This provides beautiful balance and colouring. With regard to our finishes, we source barrels from Spain, France and Italy to name a few. All these casks have matured either port or wine and each contributes its own very unique taste profile to our Knappogue finishes. But trust me on one thing – they’re bloody lovely. MoM: Could you talk about the most exciting or perhaps unusual projects you have done in the past? And any you have lined up? 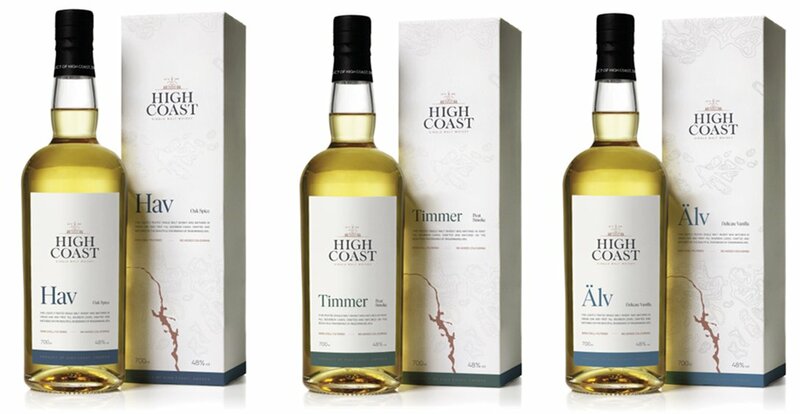 KC: The new Cask Finish Series is the latest in Knappogue Castle’s history of successful speciality limited releases. With only 1,020 bottles in production, the latest release is The Château Pichon Baron, which is matured in bourbon barrels for a minimum of 12 years, then further aged in casks from the renowned Bordeaux winery. We also have plans for additional Barolo and Marsala wine cask finished expressions, which will find a home in America, Europe and Asia. Earlier this year we unveiled the 21 Year Old Single Malt edition, too. MoM: Where is Irish whiskey headed – what do you predict the category will look like in a decade’s time, say? TC: Right now the growth of Irish whiskey is phenomenal, and it’s down to a number of factors. Most of the growing Irish whiskey markets are well-established Scotch strongholds. Scotch has driven an appetite for high-end whiskey, but nowadays choice is king. Years ago, for example, America didn’t have too much choice… Scotch or beer was pretty much it, but these days with the plentiful supply of Irish whiskies, the consumer gets to choose. Secondly, the age demographic has changed, moving from middle aged men that like a snifter to young 28 to 40 year olds enjoying Irish whiskey in cocktails or on the rocks. The next 10 years will be very much ‘foot to the floor’ as we say here in Ireland, but Irish whiskey is a long game player. It takes 12 to 21 years to produce our current range of Knappogue whiskey, so we will stick to the principles that have served us well over the past years. Thanks, Tony! Below, you’ll find three Knappogue Castle whiskey cocktails created by Joaquín Simó from Pouring Ribbons. Slainte! IWD 2019: Meet our content assistant, Jess Williamson! No Comments on IWD 2019: Meet our content assistant, Jess Williamson! Want to get into writing about whisky? On International Women’s Day, we meet our content assistant Jess, who does just that! It’s International Women’s Day! All week, I’ve been chatting to just some of the women who work at Master of Malt, in all different departments across the business. We’ve met Emma, our head of service; Mariella, our PR manager; Rachel, our trade service manager; Laura, our campaign executive; and earlier today, Charlotte, our digital marketing assistant. Now, wrapping up our Q&A series, we have Jess, the newest member of the MoM marketing team. She joined Content in January 2019 and immediately hit the ground running, helping to research and write about – and, most importantly, taste! – the very many products we get live on the site every day. She also contributes to The Nightcap, the blog, and a whole host of other drinks and words-related things. Intrigued about getting into drinks writing? Want an insight into content at MoM? Over to Jess! Tell us about you and your role at Master of Malt. I’m the content assistant at Master of Malt, so I mainly help with the shed-loads of new products that flood in, and write some (hopefully) witty and informative content for them! Mostly I’ll be looking through all the new product listings and writing content for those, with some social media content on the side. Occasionally, we have brands come in to show us their products; those days are always educational and delicious. I contribute to The Nightcap posts each week, and if I’m lucky then I’ll also have some tasty drams to write tasting notes for! How did you get into content and writing? I graduated from Bristol University with an English Literature degree, so I’ve always loved writing, and have written for online music magazines in my spare time for nearly three years. I also worked in an extensive gin bar for a while (it had 64 gins! ), which is when I realised that drinks were really a thing – when I say that, I mean more than just vodka and squash, which happily I shall never drink again. I started temping in another department within the company for a few months, during which time the industry got me hook, line and sinker, and I applied for my current role at MoM! Jess, who loves music and booze, is our content assistant! What’s one of the most surprising things about your role? I wasn’t sure what to expect, but I was (happily) surprised at how varied it is, and how everyone is happy to pitch in, and for me to pitch into projects. I don’t think I’d quite understood the scale of the industry and the level of discernment involved – I was blind but now I see! Also, three cheers for the hands-on nature of actually tasting the drinks I write about. Yum. What makes the drinks industry such an interesting place to work? As someone fairly new to the industry I’ve learnt so much in such a short space of time, and I don’t think that’ll slow down any time soon! Everyone involved is so enthusiastic; there’s such a great combination of tradition and innovation. The whole nature of drinks is so subjective as each consumer is unique, so it feels like the possibilities are endless! Just one? I’m a big fan of trying any new and exciting cocktail when I’m out, but I love a Bramble. Although if I’m making a drink for myself, then it’ll probably be a Gin & Tonic! IWD 2019: Meet digital marketing assistant, Charlotte Gorzelak! No Comments on IWD 2019: Meet digital marketing assistant, Charlotte Gorzelak! Today we’re chatting to Charlotte Gorzelak, who joined MoM in July 2018 as our digital marketing assistant. Charlotte’s career path so far has certainly been geographically diverse, and she’s also our resident detective with her Criminology degree. Intrigued? Read on! I’m the digital marketing assistant at Master of Malt, so I do a little bit of everything from pay-per-click, to email and social marketing. I mainly build the social media posts which go out on all channels, and I go to a few events to post stories on Instagram to give our followers an insight into the interesting new things happening in the industry. Most recently, I was in Mayfair for the launch of our new MoMer’s Web Page Gin, and the week after that I was in Covent Garden for an Irish whiskey tasting and book signing with Anne Griffin, the author of When All is Said. I actually got into marketing by applying for a waitressing role after graduating with a degree in Criminology. They saw I had media and PR experience on my CV, and offered me a different role in the interview. Cue four years of me working in a microbrewery, helping during brewing (read: getting malt in my wellingtons and generally making a mess), making cocktails and serving drinks, and doing marketing for a few drinks businesses. I also did a short stint in Los Angeles working with a film company as their marketing person, and in Germany filming with Audi at the Nürburgring. I then came back to England (and the drinks industry!) to work at MoM. She might not be a GoT fan, but Charlotte is queen of the Iron Throne. It’s varied and fun. It’s such a broad industry. From the making of the drink to the selling and then the serving, you need lots of different skills at each intersection and I think that’s why you get such a mix of people working in our industry. There’s a place for everyone. When I worked in brewing, we used to do the brewing process in these steel vessels next to the bar. I was inside cleaning out the malt one day and popped my head out of the hatch. I totally surprised this couple eating their lunch next to the tank! It was hilarious, and it made their day that they could talk to someone who was really involved in the drink they were drinking at the time. When I was just starting out at MoM I was asked to go to the Macallan Magnum exhibit to celebrate the opening of the new distillery. It was the first event I attended at MoM. I was able to take an in-depth look at the distillery and chat to people in the industry, while sipping amazing whisky cocktails – and I got to sample the Macallan Magnum expression bottled especially for the opening. I also went to Diageo’s Game of Thrones Johnnie Walker White Walker launch which was amazing, even though I have never seen the TV show! As we were filming, I even made a tiny cameo. The Penicillin cocktail. Smoke, ginger and sweetness. I’m still yet to perfect it at home but whenever it’s on a menu, it’s my go-to drink. MoM does the double at UK eCommerce Awards! No Comments on MoM does the double at UK eCommerce Awards! Yep, we’ve not quite calmed down yet, but there are two more shiny trophies to add to the Master of Malt awards cabinet – and we’re so excited! We’re beyond thrilled to share some marvellous news – last night we picked up not one but two trophies at the glitzy eCommerce Awards in London: Food & Drink eCommerce Website of the Year, and eCommerce Social Campaign of the Year for everyone’s favourite supernatural, omniscient, festive, heavily-bearded being, #WhiskySanta! Yes, folks, it was another celebratory evening, and today the whole team is buzzing. It means so much to be recognised for something you love doing – purveying delicious boozes is never not going to be a joy! Charlotte and Dan from the digital team picking up our UK eCommerce Awards trophies! We’re pretty chuffed that the UK eCommerce Awards judging panel chose to celebrate all things Master of Malt. Dan and Charlotte from our digital team were our reps on the ground, picking up the two shiny trophies and raising a glass on behalf of us all. The Food & Drink eCommerce Website of the Year was a big one for us. We were up against some stiff competition, and the judges said they were especially impressed by our advanced search function, which makes it even easier to track down those mouth-watering bottlings. Anything to make it easier to find that perfect tipple. And then #WhiskySanta only went and bagged a trophy, too! We’re super proud. This year’s campaign was bigger than ever before, with £250,000-worth of the finest spirits handed out as gifts, either in response to wishes on social or tucked away in parcels through November and December. No wonder #WhiskySanta has to take the rest of the year off. That’s a lot of booze to haul about! We’re delighted – and we’ll keep it up in our quest to bring our incredible customers the best drinks experiences possible. It’s our very favourite thing to do, after all! IWD 2019: Meet trade service manager, Rachel Matthews! No Comments on IWD 2019: Meet trade service manager, Rachel Matthews! It’s probably fairly obvious that we love and sell all kinds of delicious boozes here at Master of Malt. But did you know that we also work with the likes of bars, restaurants and pubs? It’s Rachel Matthews and her team who look after this side of proceedings, and in today’s instalment of our International Women’s Day series we’re getting stuck in to all things Trade! Rachel joined Master of Malt five-and-a-half years ago, and has been instrumental in building the Trade team out. Her hospitality background is a huge advantage, as is a love for the hundreds of new products we see each week. Over to Rachel! I’m the trade service manager. What do I do, I hear you ask… well, I’m here to support and help develop the team to provide the best service to our customers that have businesses in the world of booze. We give our on-trade customers a service which is knowledgeable, product-filled and a cut above the rest. And we continue to make Trade a thriving sector at Master of Malt! Each year we gain more customers through word-of-mouth because of the service we proudly provide. How did you get into trade service? I’ve been at MoM for five-and-a-half years; before that, I was waitress at a cocktail bar when I met you (love that song – The Human League!). Sadly, it wasn’t as cool as that – it was a seafood restaurant. I’d worked in the hospitality industry for long period of time after university and I was ready to get out, but I still wanted to continue dealing with customers as I enjoyed that aspect of my work. This is when I decided I wanted to work for MoM, I knew a fair bit about alcohol, but my main love was dealing with customers. I finally, got an interview (after stalking the website daily) with Emma Golds, and they accepted me for a stock assistant role (not what I wanted but it developed my understanding of the company). I quickly transitioned into the Trade department. From there, I grew within the department, continually learning and building my knowledge about how to give our customers the best service possible. I’ve always been a believer that you have to work hard for what you want and always push yourself, learn from your strengths and weaknesses. Meet trade service manager, Rachel! What are the particular challenges to working in Trade? I love a challenge; it is the only way you learn about yourself. But one particular area I find challenging is keeping up with the constant flow of new products. There are thousands of them, and it is not slowing down! For instance, the gin industry is still booming, and I believe there are 315 distilleries in the UK according to from HM Revenue & Customs figures, and gin drinkers helped category sales exceed more than £1.9bn in 2018. It’s absolutely mind-blowing! The industry is ever-changing, you never stop. People said after the EU referendum that the alcohol industry was in danger. Well, I can confirm that Trade is seeing sales climb 65% year-on-year. People are wanting to spend more on the quality of the liquid, and are more focused on the ingredients and stories behind the bottles. This is great, as we are able to help our customers expand their knowledge on the products available, as well as our own knowledge, too! We are constantly learning, and no day is the same. Tough question! If I’m needing a pick-me-up then I’d go for an Espresso Martini. If I’m putting the world to right with my friends, then I’ll have a wee dram of the Glenfarclas 15 Year Old.